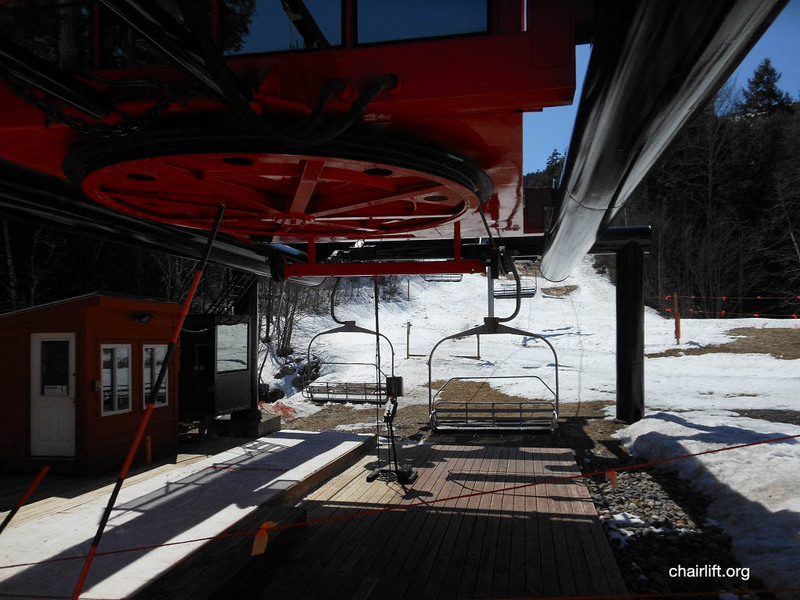 riders with a choice between a six pack chair or Gondola Cabin. 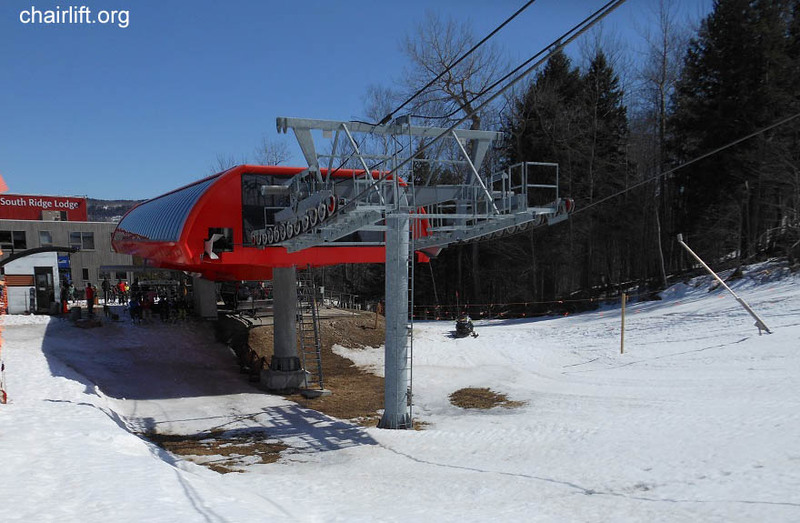 replace the North Peak triple. 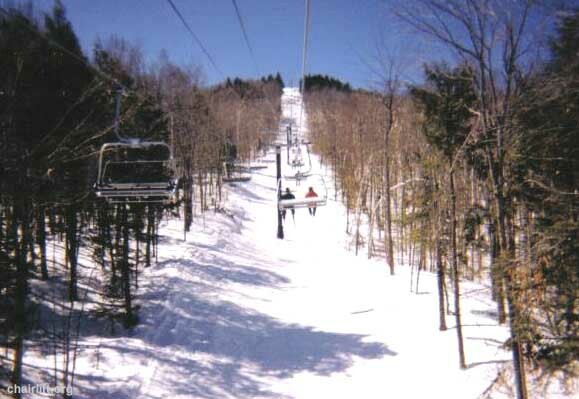 SOUTH RIDGE EXPRESS (POMA) - Built by Poma in 1992 to replace the South Ridge double. 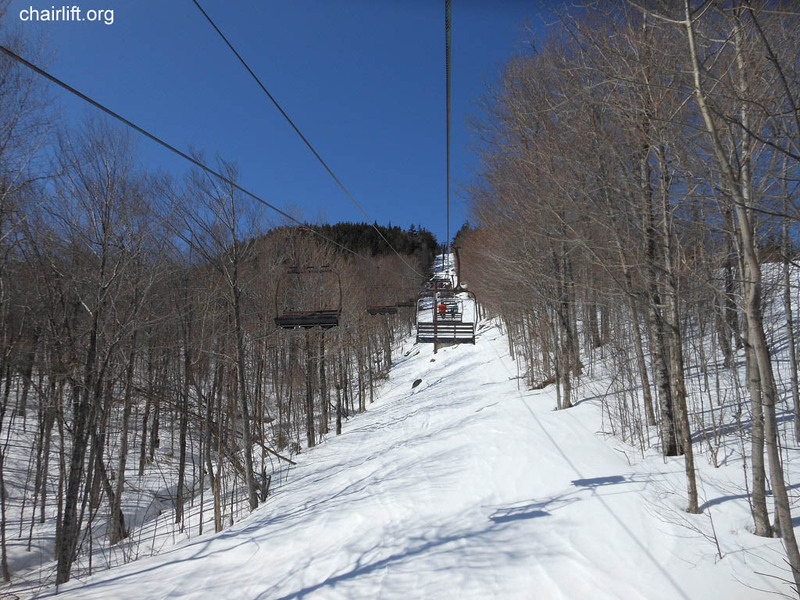 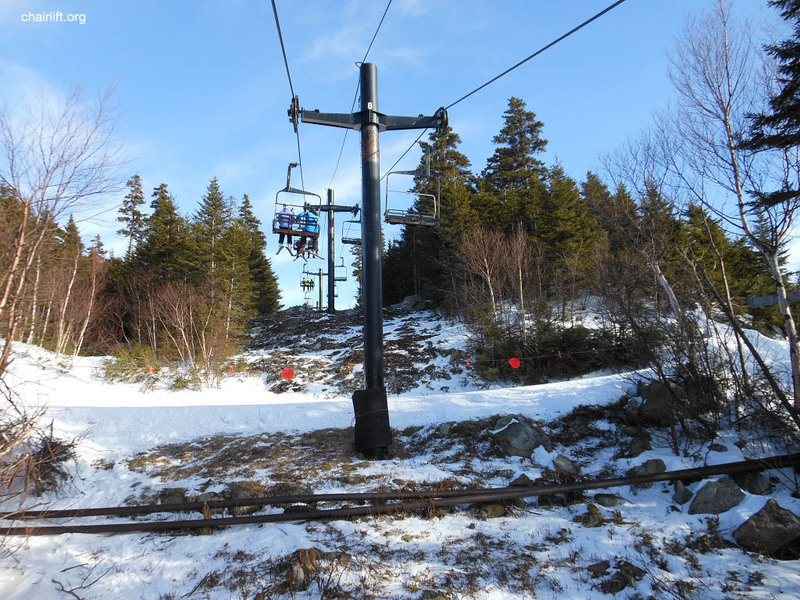 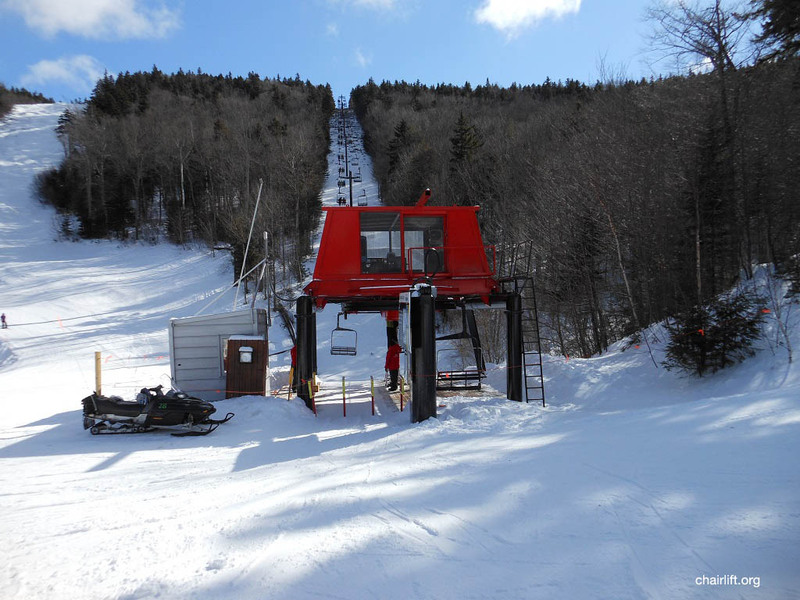 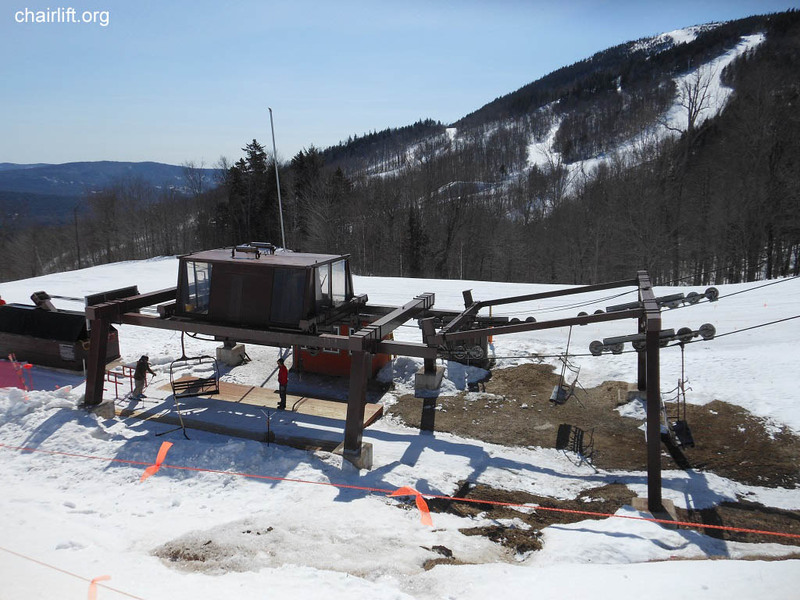 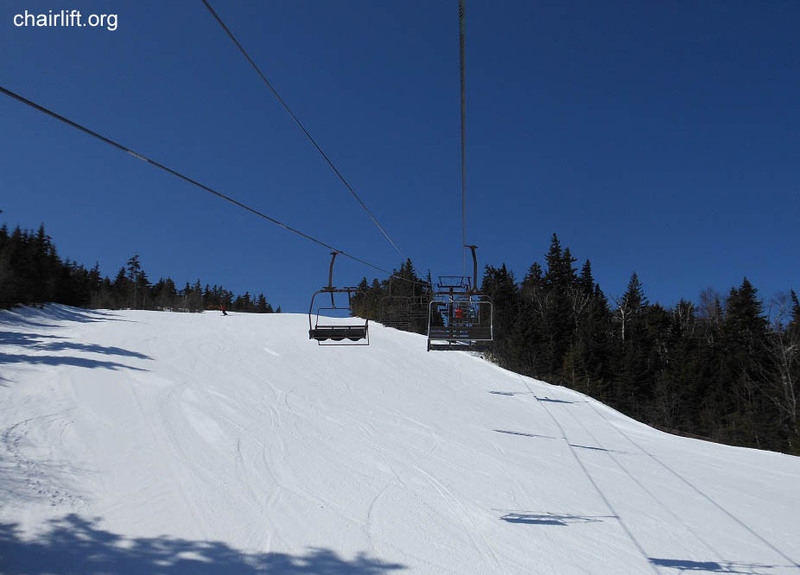 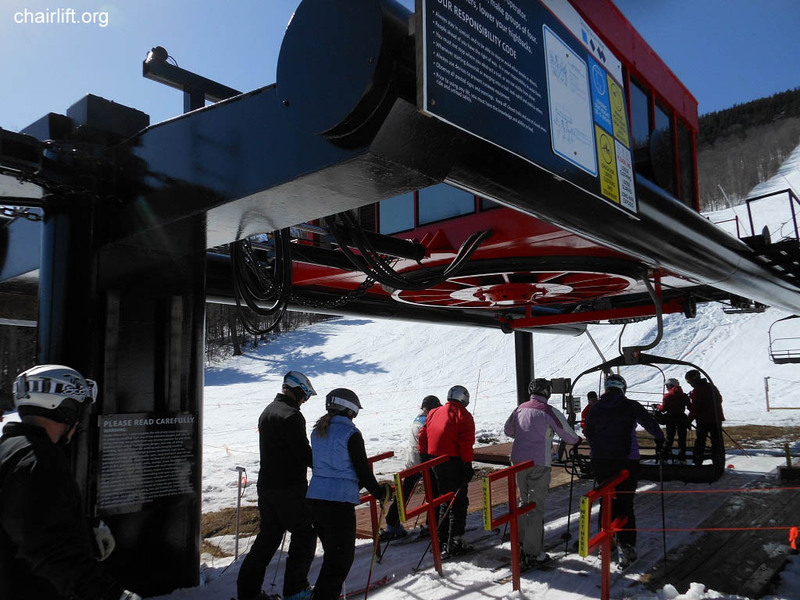 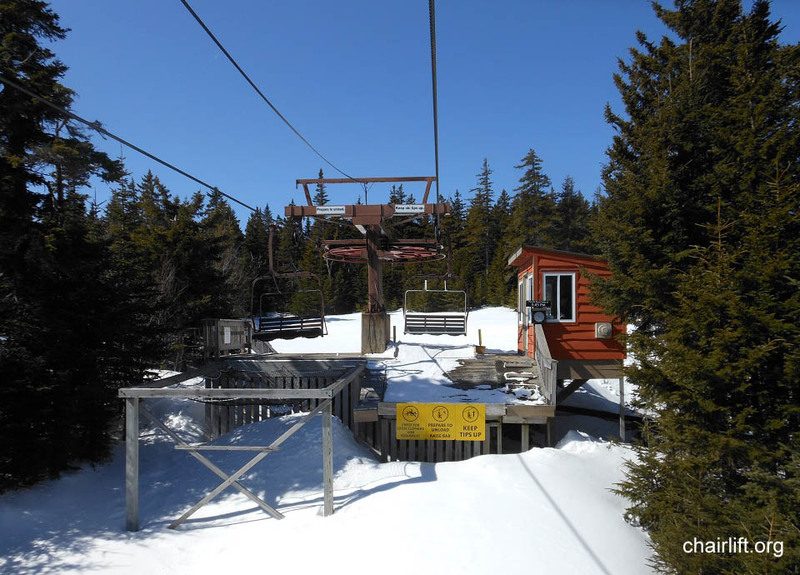 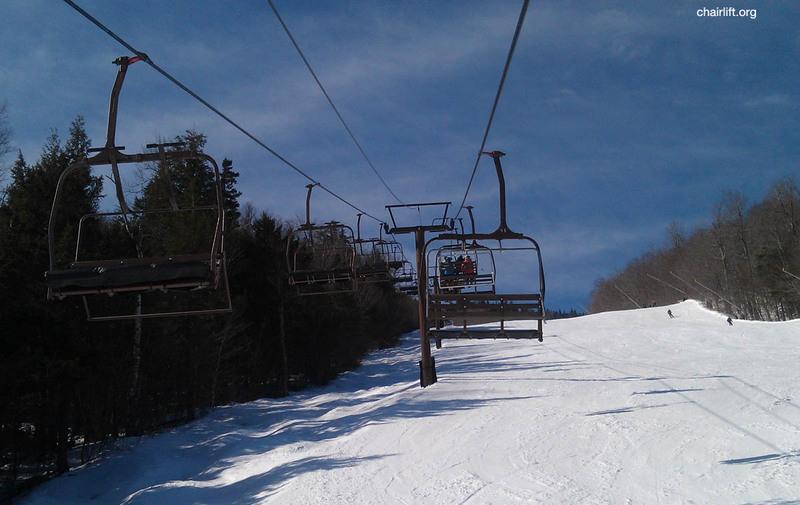 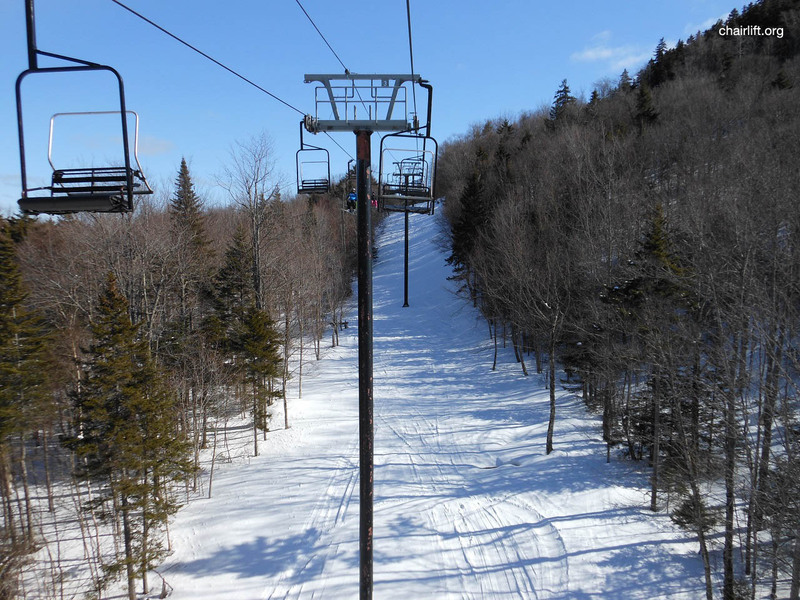 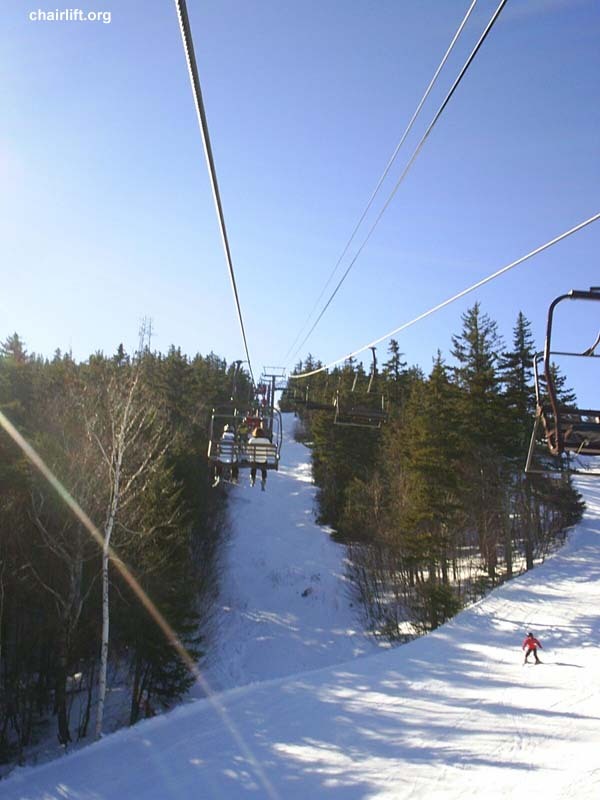 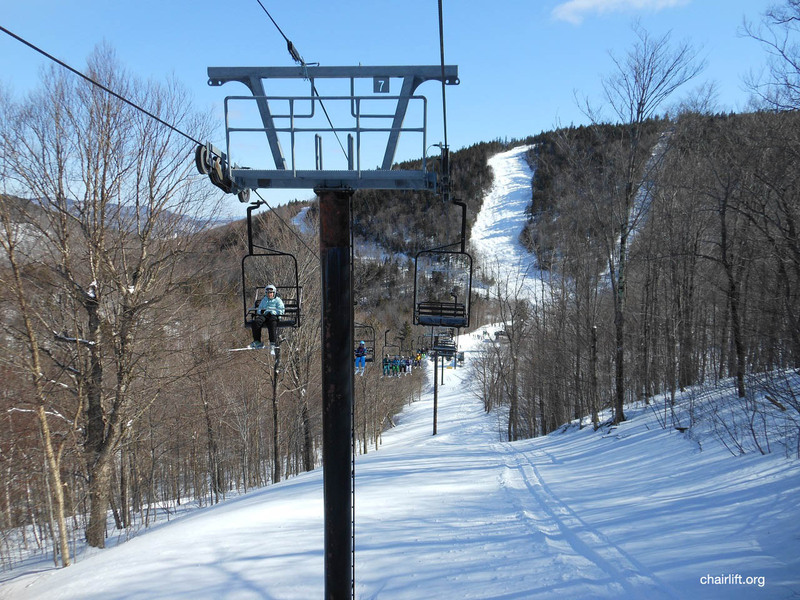 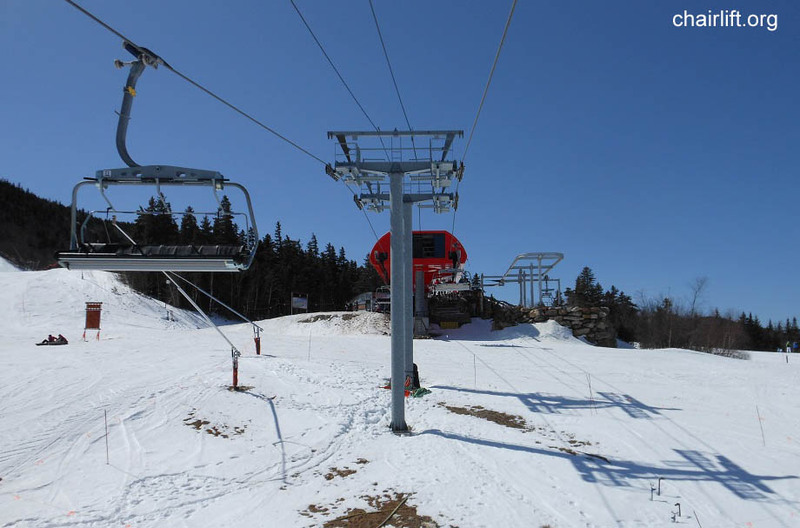 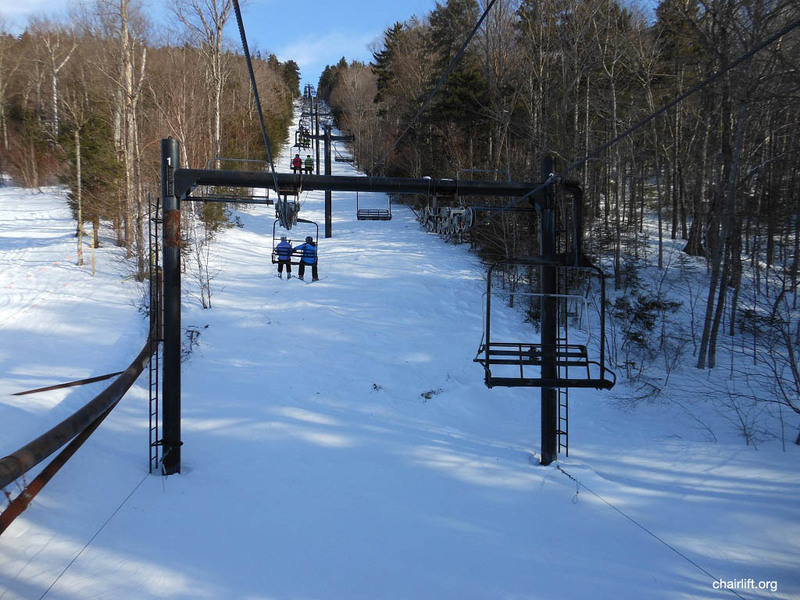 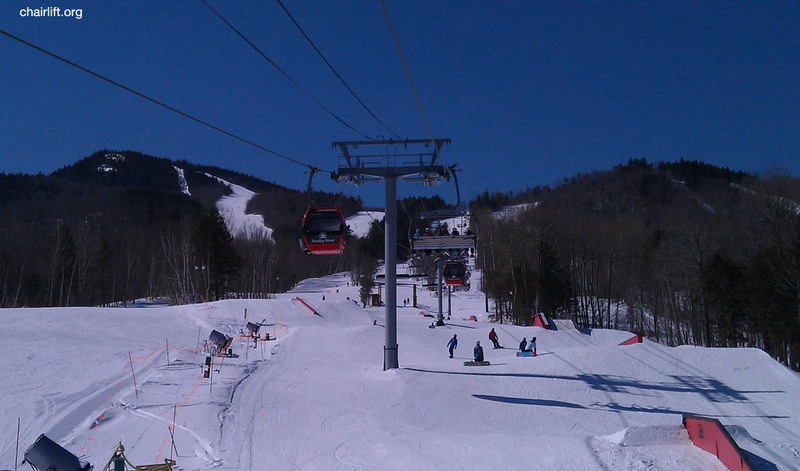 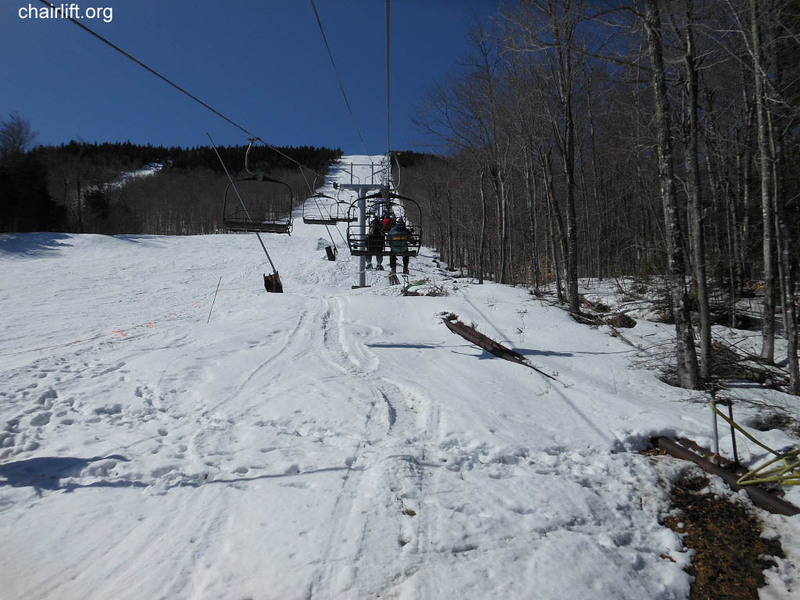 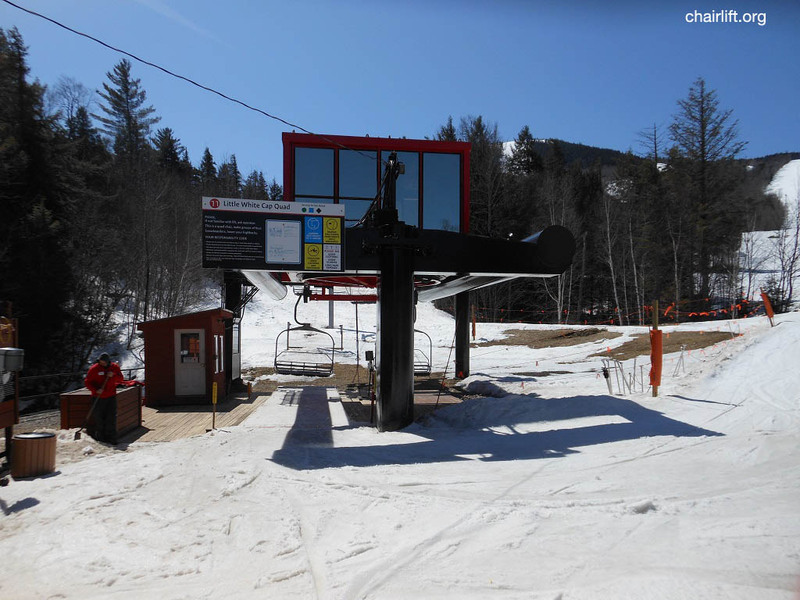 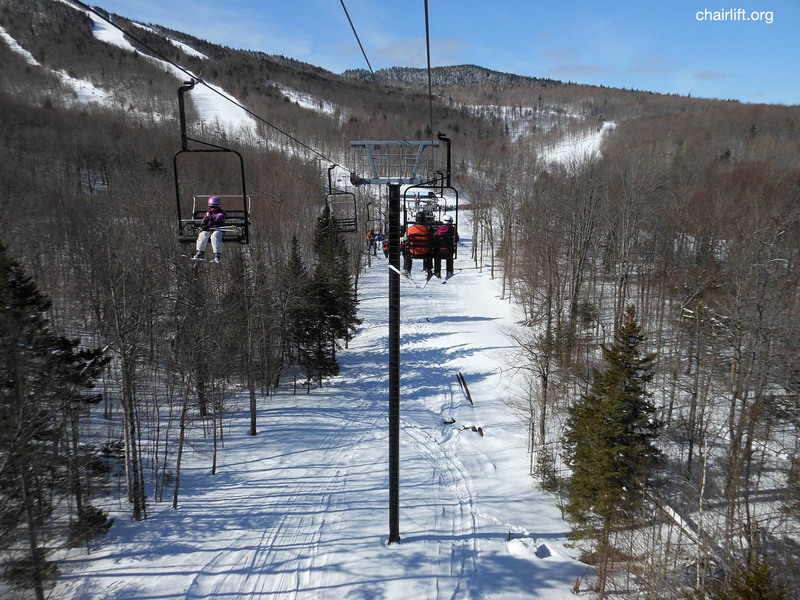 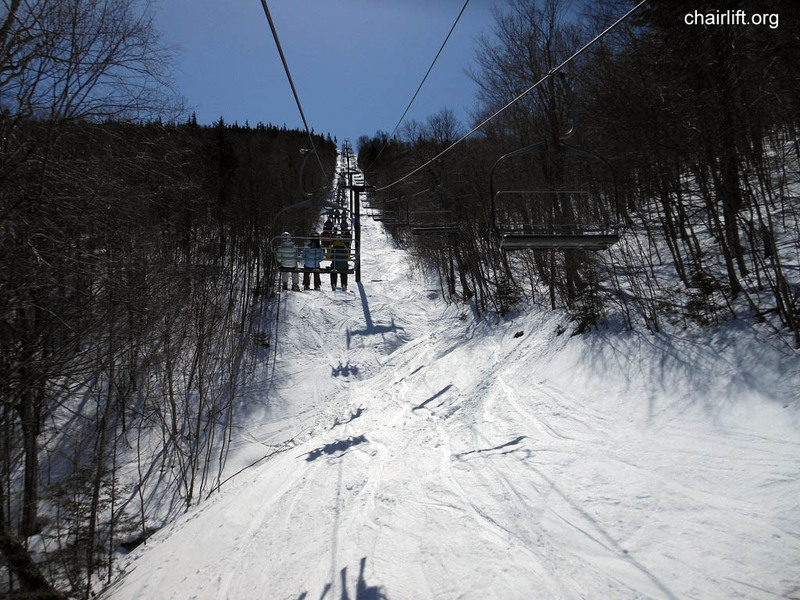 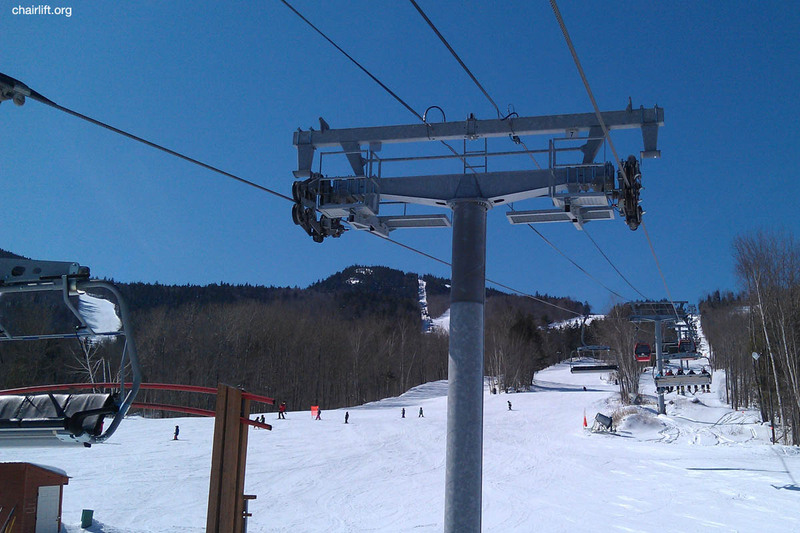 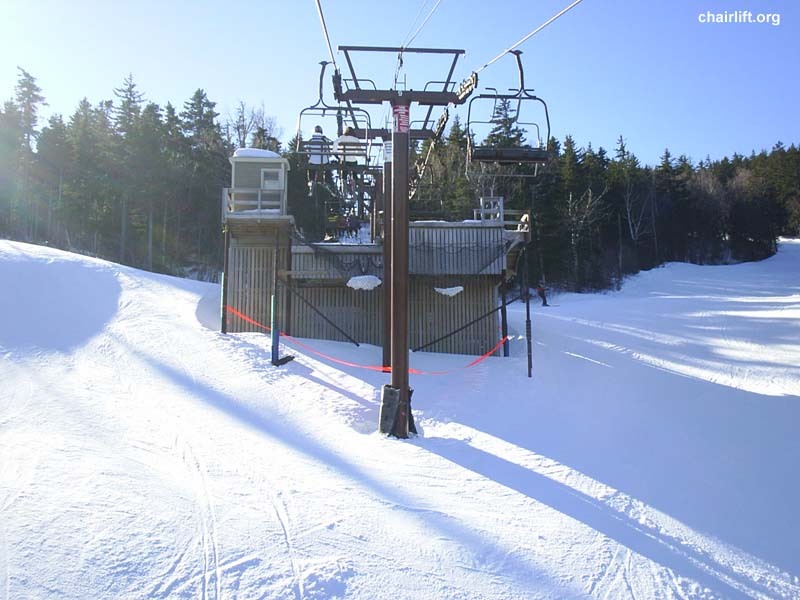 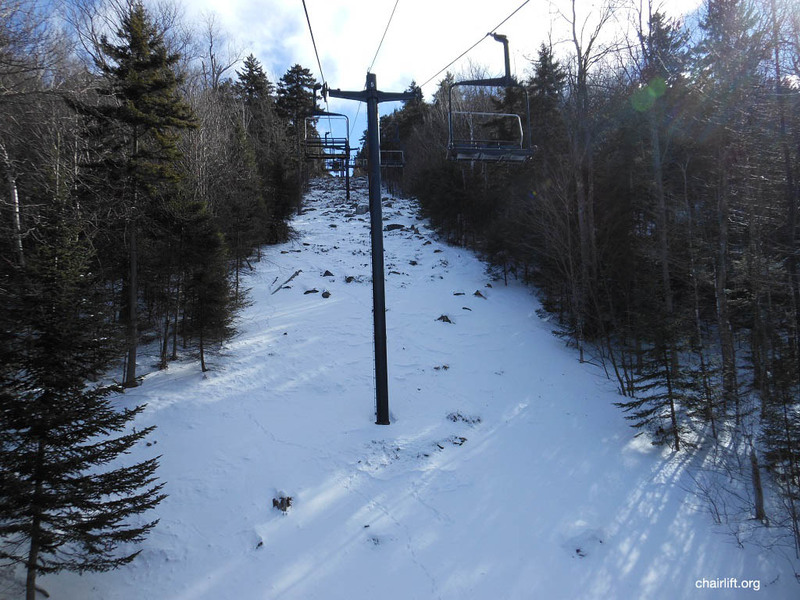 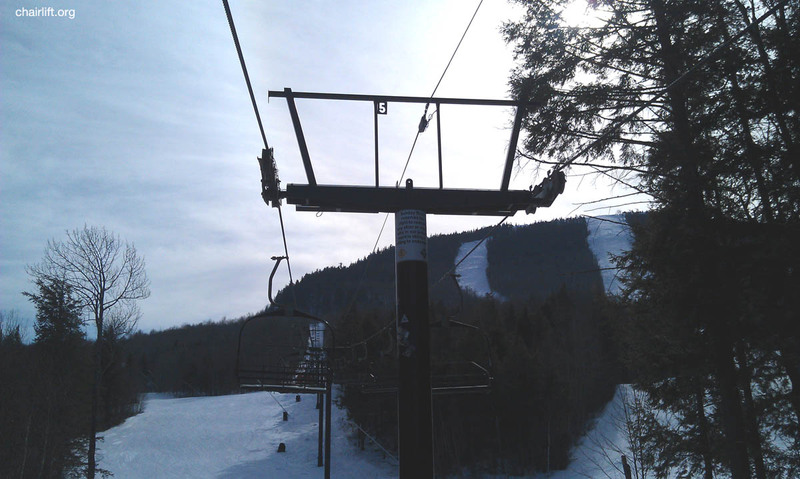 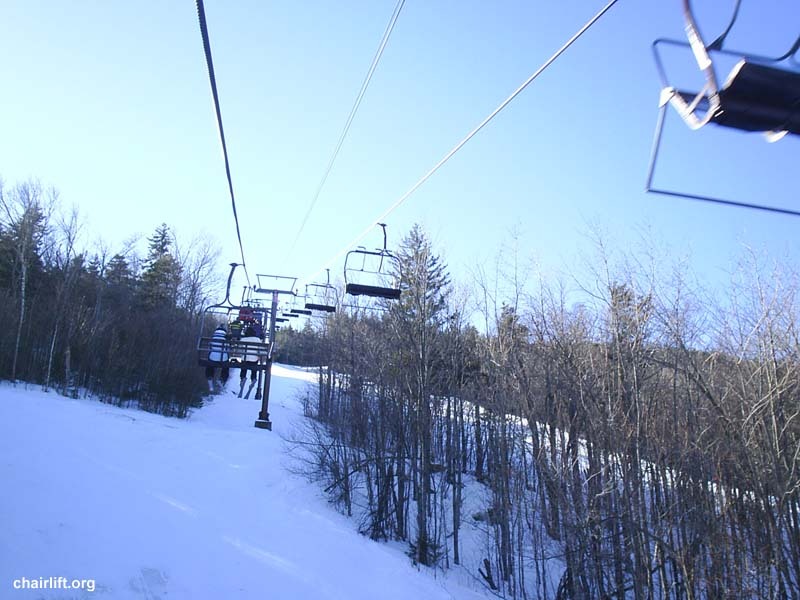 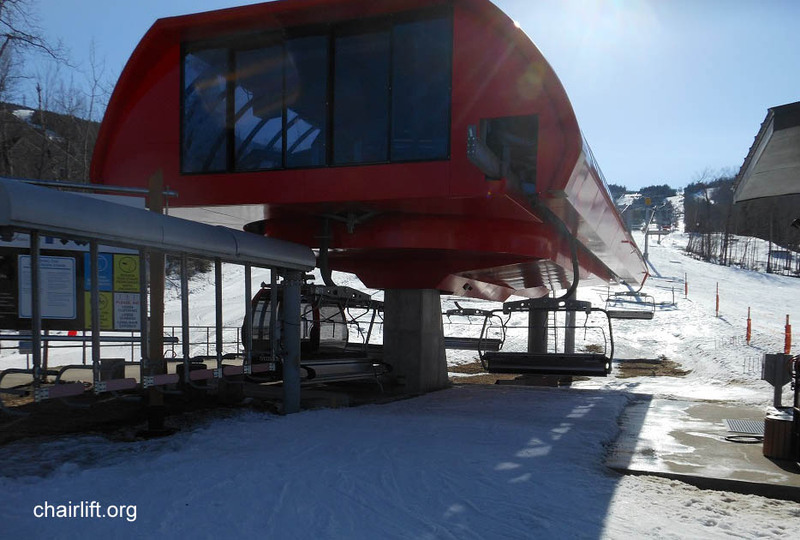 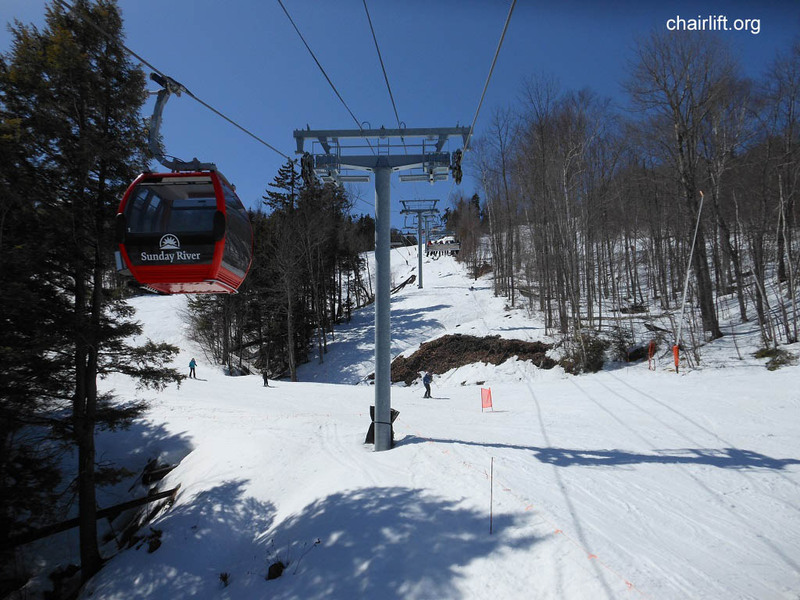 SUNDAY RIVER EXPRESS (YAN/POMA) - Built by Yan in 1987 this lift has been modified by Poma a few times. 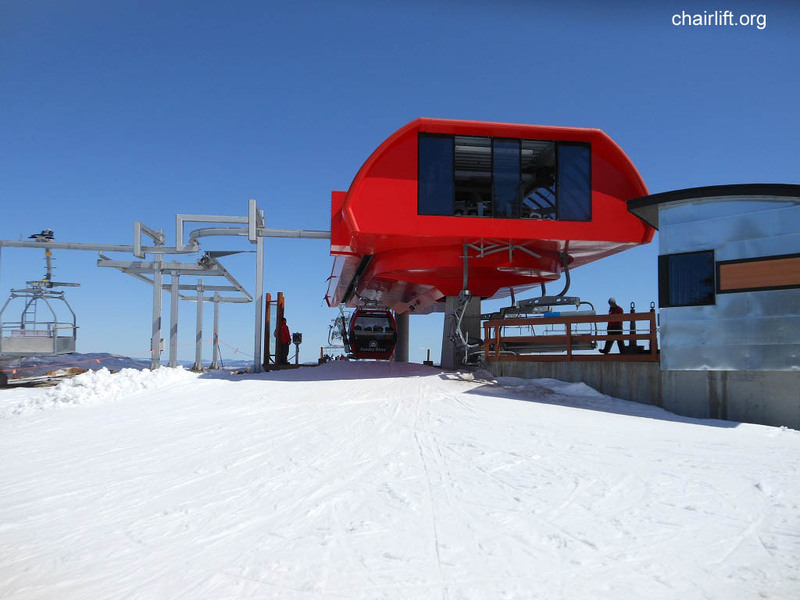 First in 1996 it received new grips and re-built terminals. 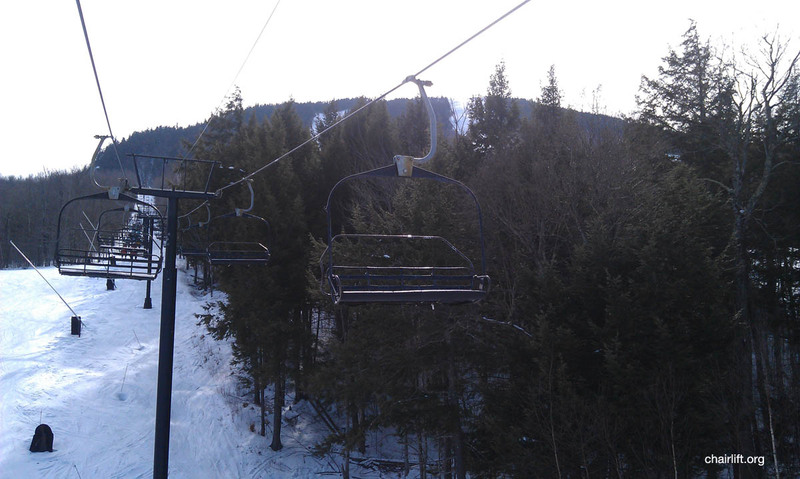 It later received new chairs and a few tower heads. 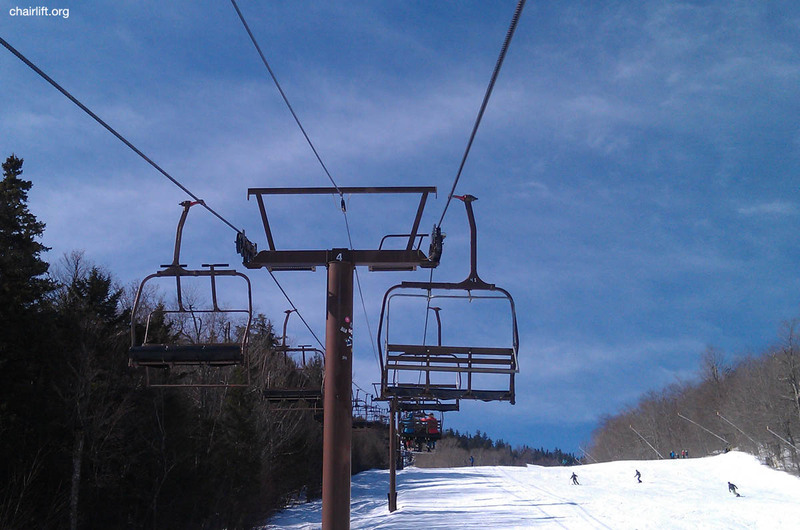 This chair replaced the Barker Double chair, an rare Pullman-Berry lift from 1971. 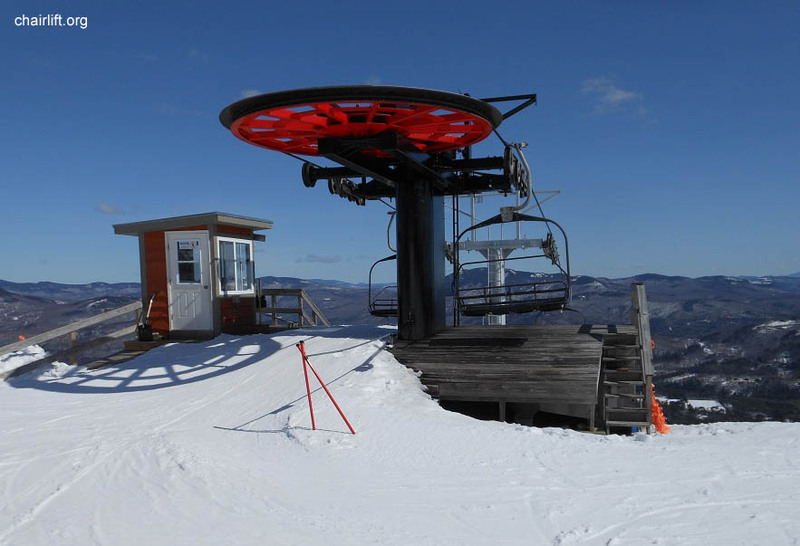 LITTLE WHITE CAP QUAD (YAN) - Built in 1988 this is a rare Yan late model design with Pentagon shaped chairs. 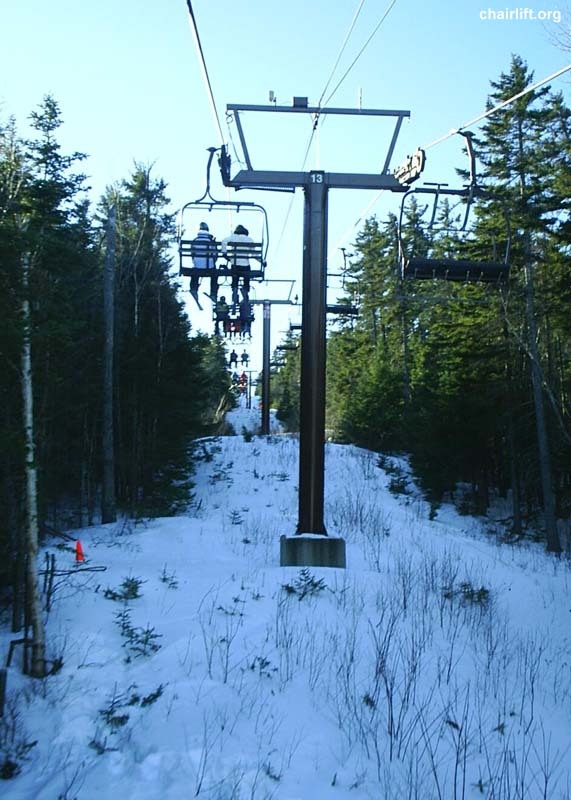 The lift was later upgraded by Poma with new hanger arms and grips. 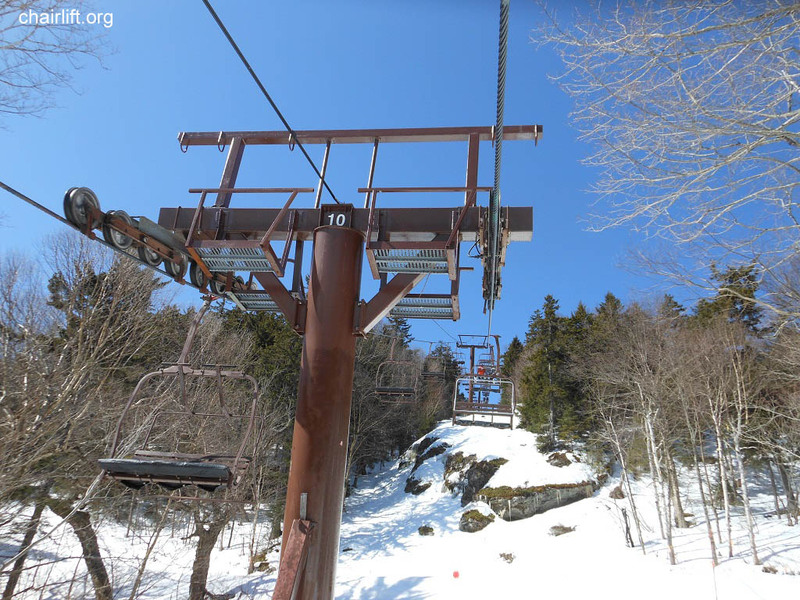 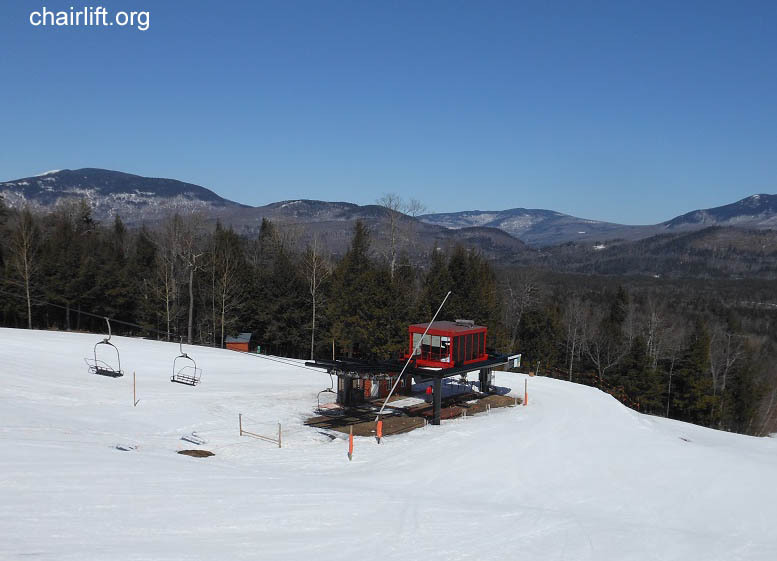 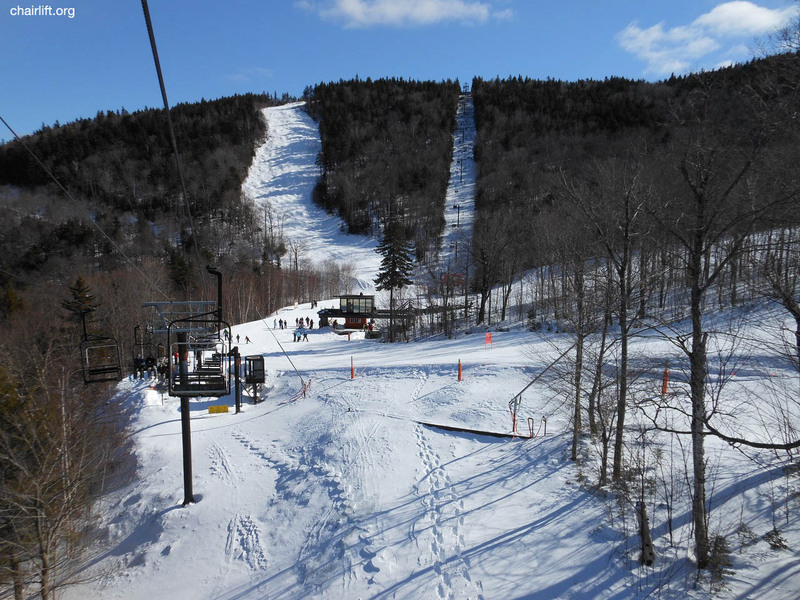 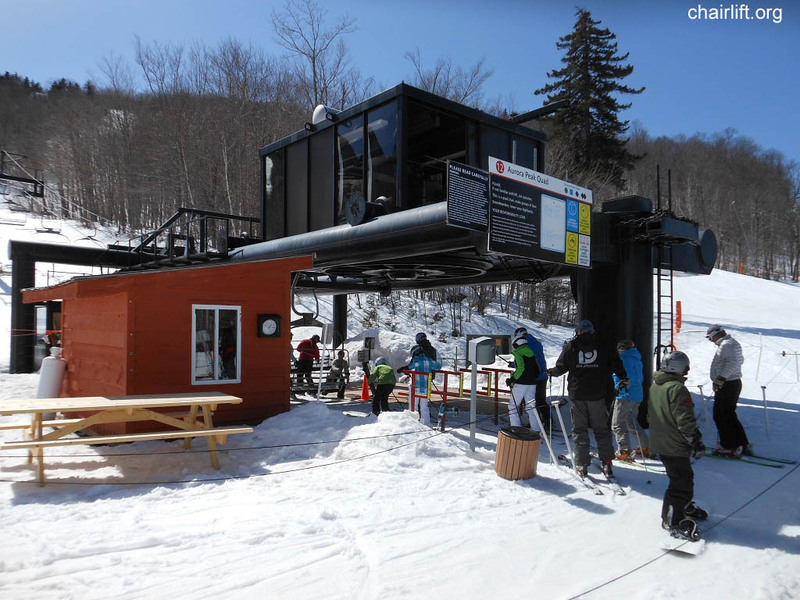 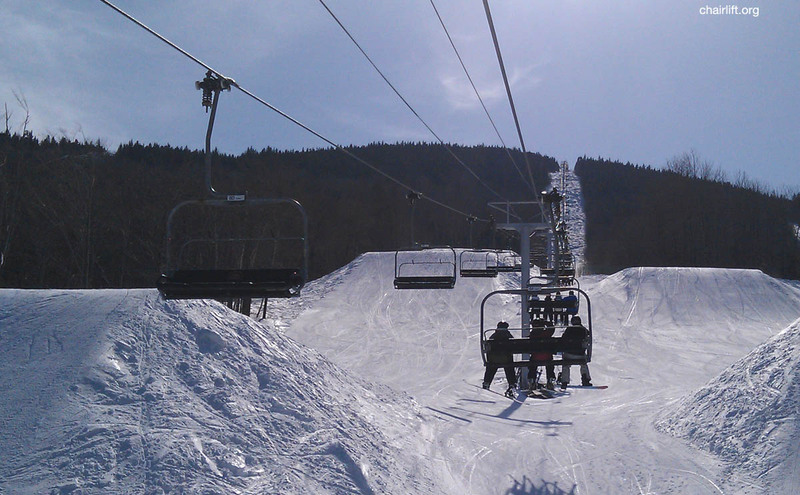 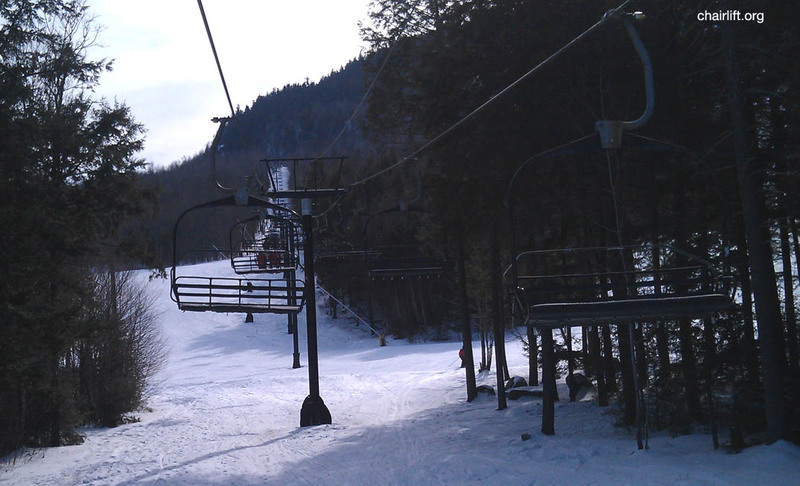 WHITE HEAT QUAD (YAN) - Built in 1988 to compete with Killington's Outer Limits. 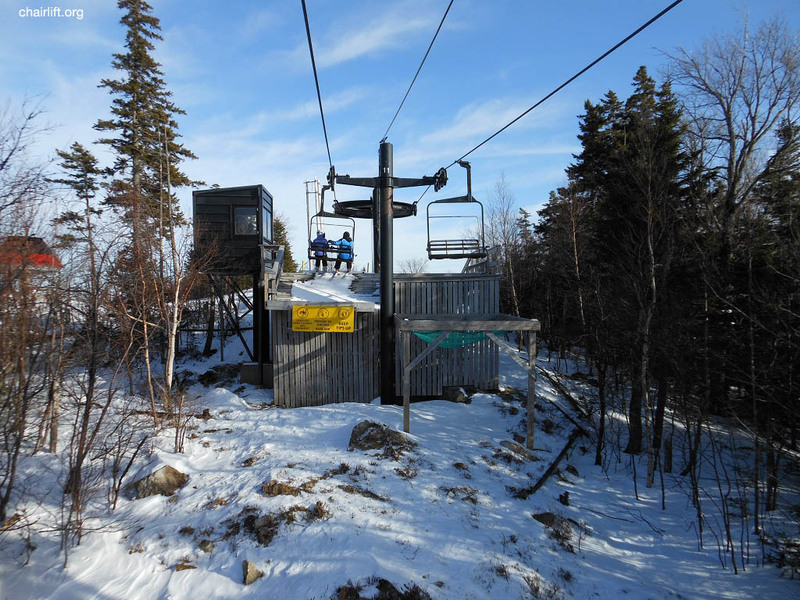 LOCKE MOUNTAIN TRIPLE (BORVIG) - Built in 1984 this lift features a mid-station. 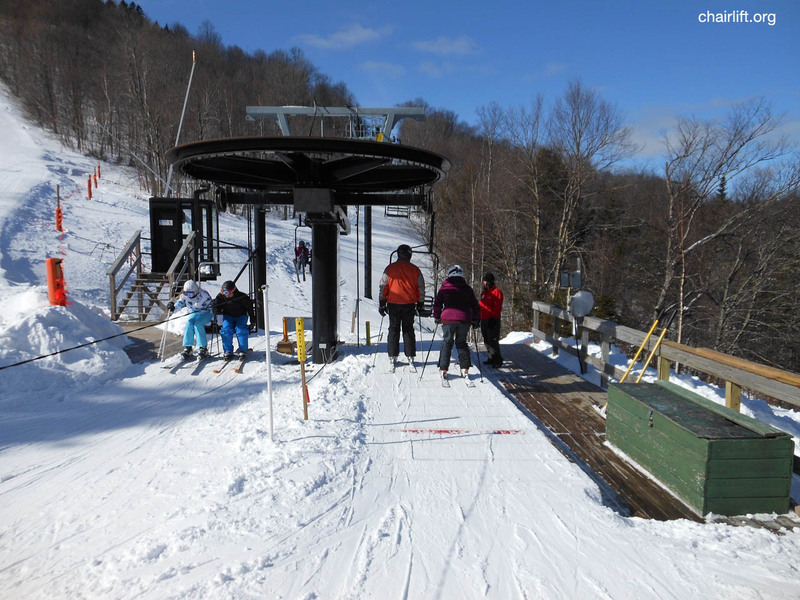 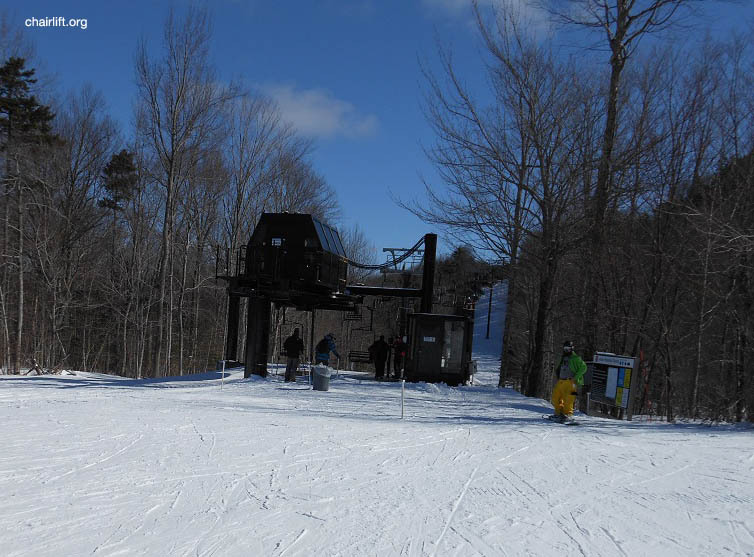 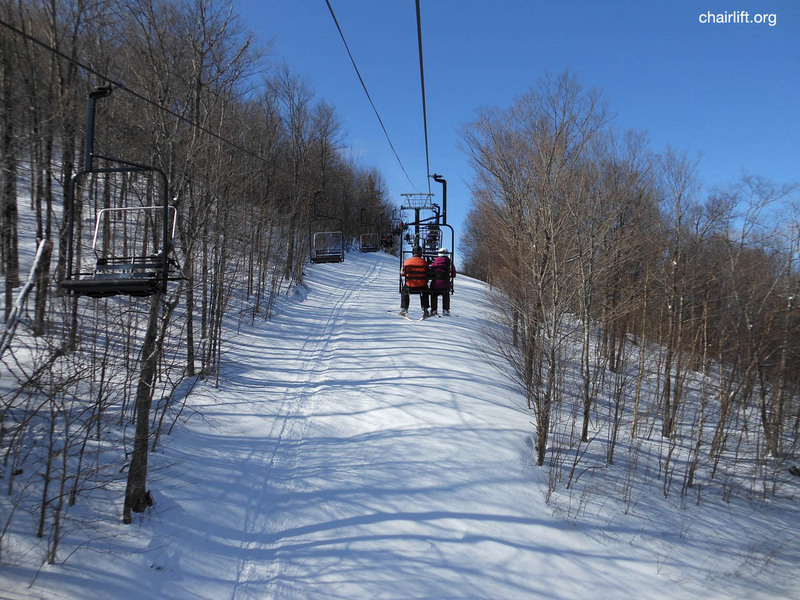 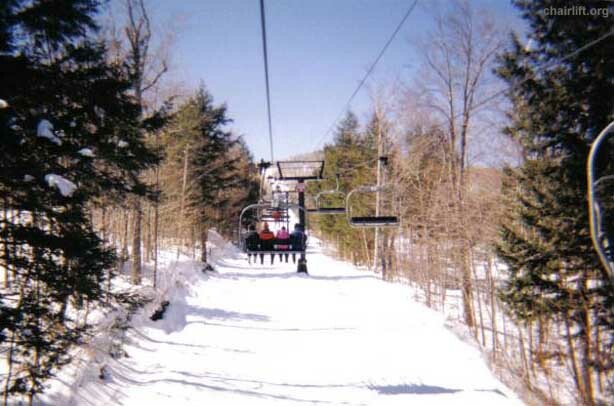 SPRUCE PEAK TRIPLE (BORVIG) - Built in 1986 to service four new trails. 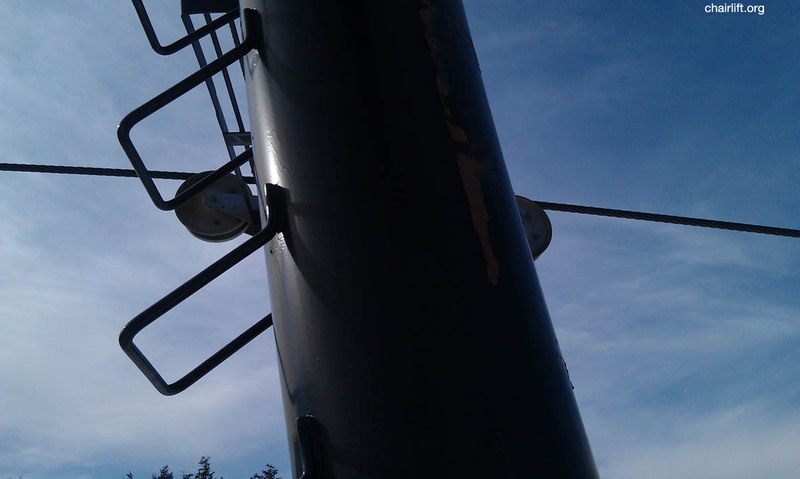 but has a Borvig drive and depression sheaves. 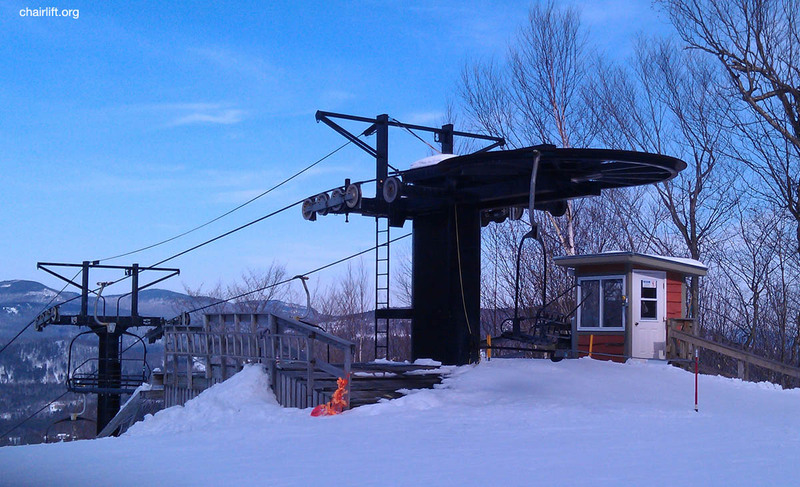 are Hall most likely from the old South Ridge Double. 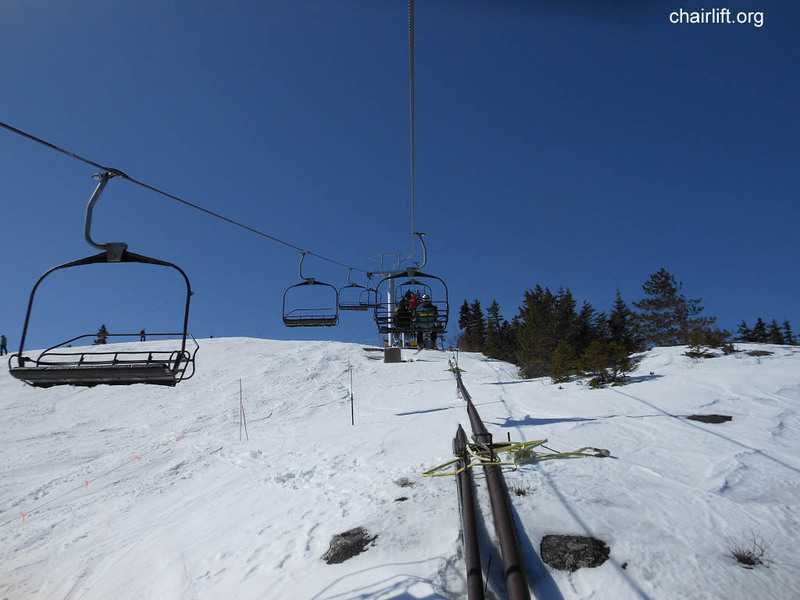 This chair is not for those with a fear of heights! 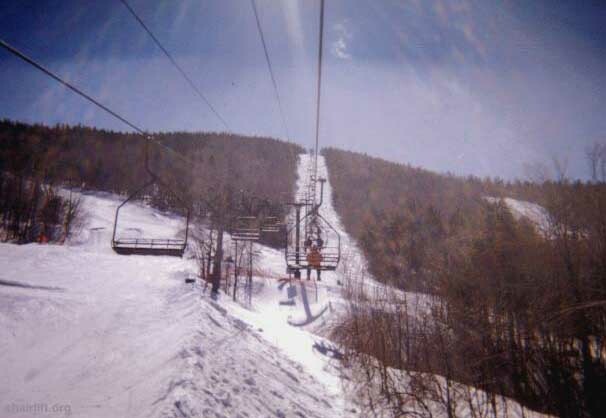 AURORA PEAK QUAD (YAN) - Added in 1991 when Yan quads were showing up all over New England. 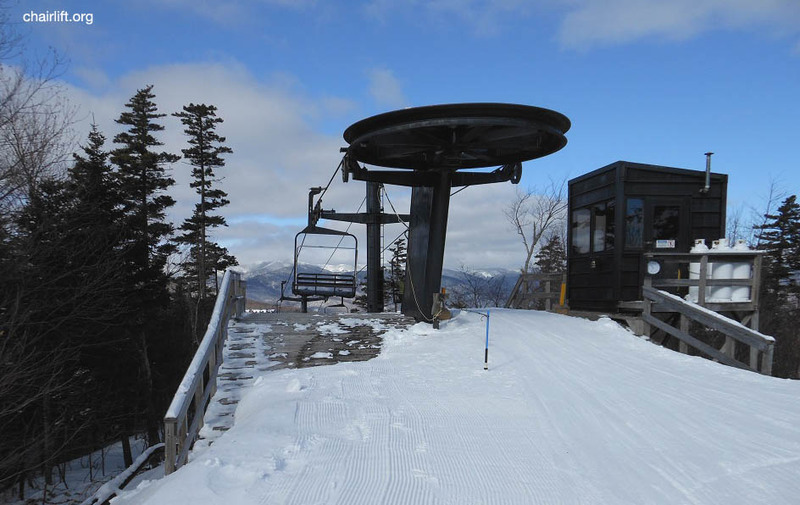 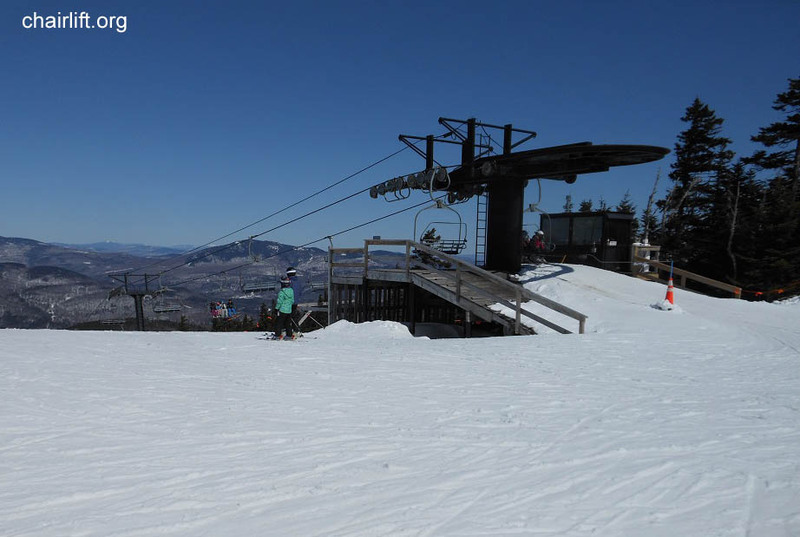 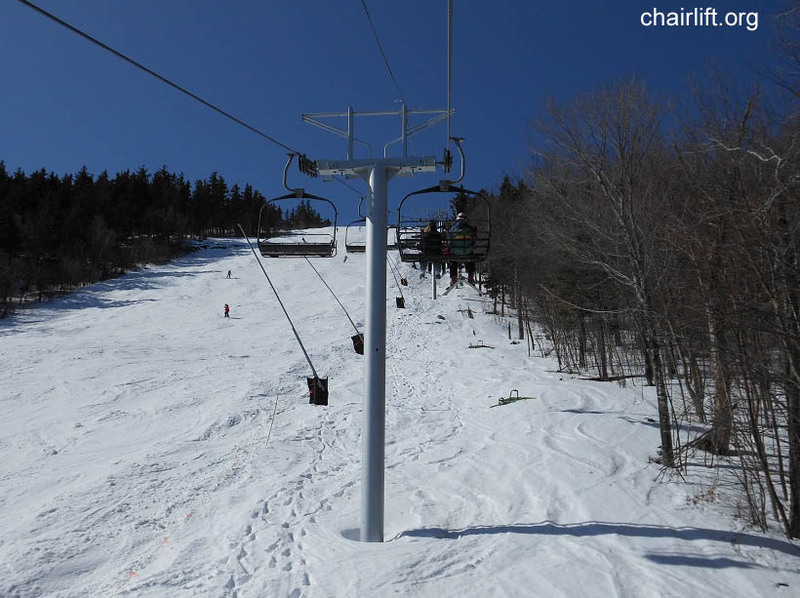 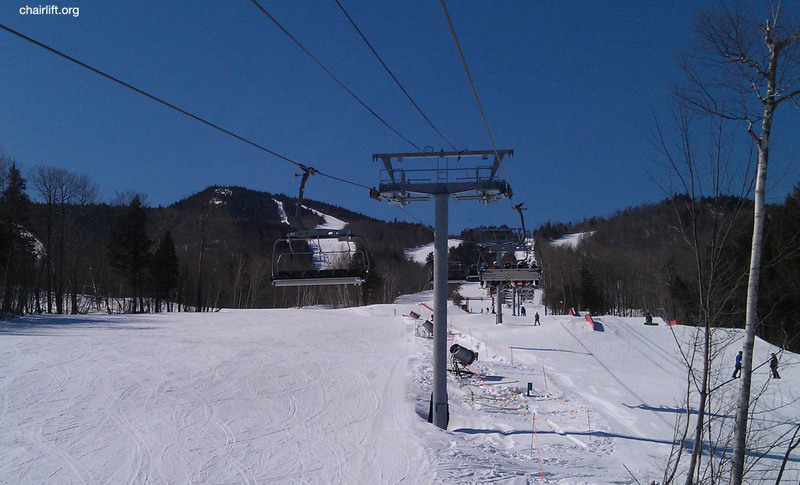 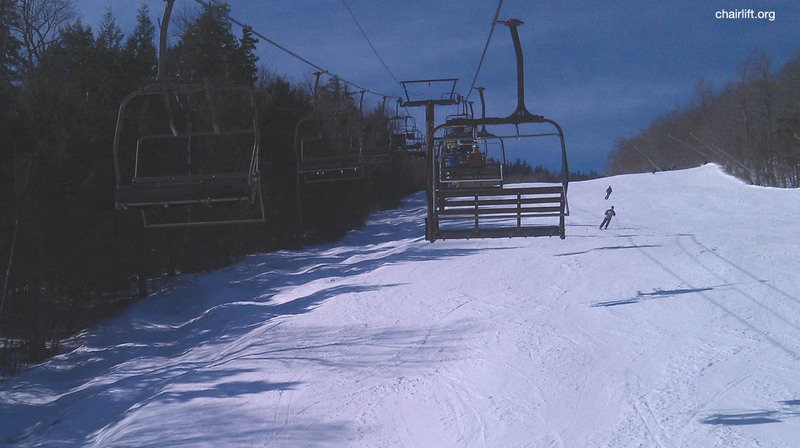 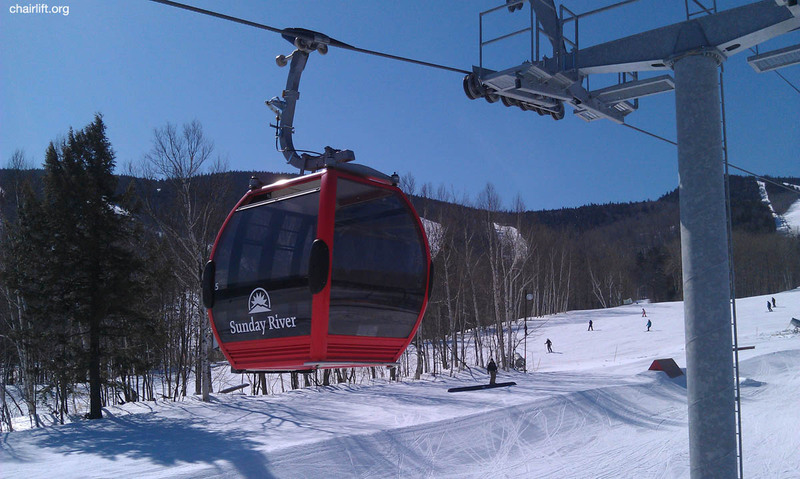 replaced with a Yan detachable quad, the Sunday River Express. 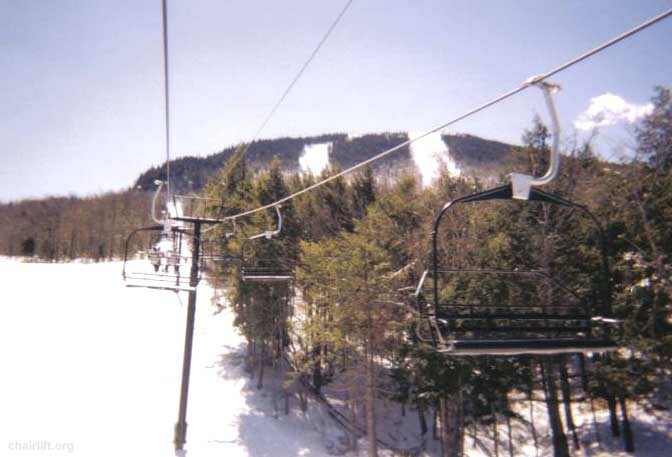 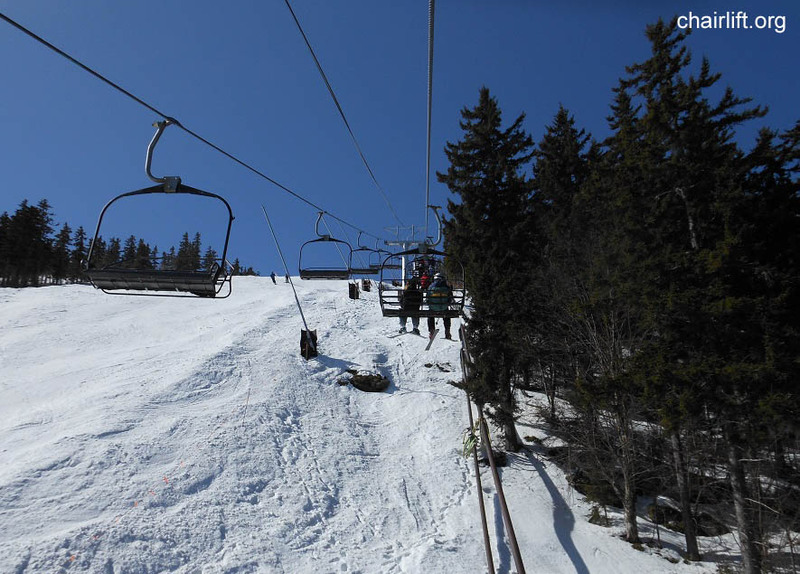 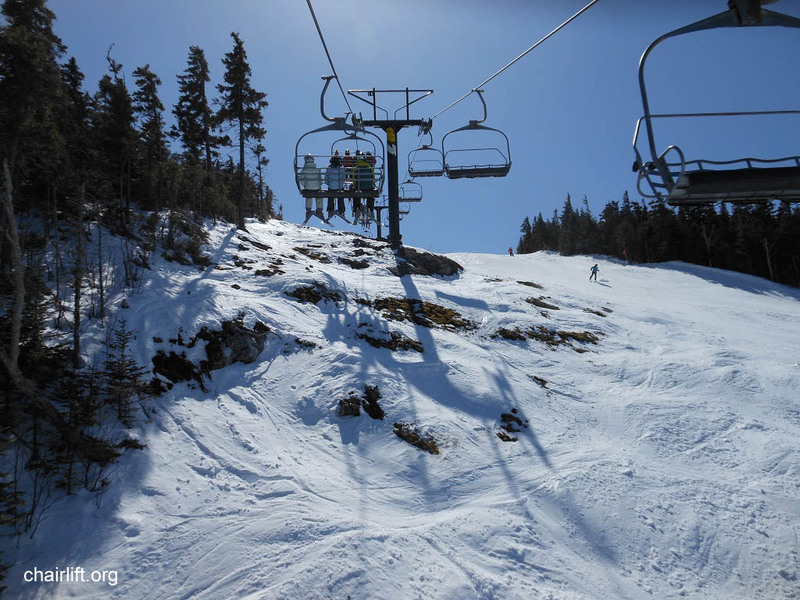 SOUTH RIDGE TRIPLE (BORVIG) - This Borvig triple chair ran from 1986-2008 until the Chondola was installed. 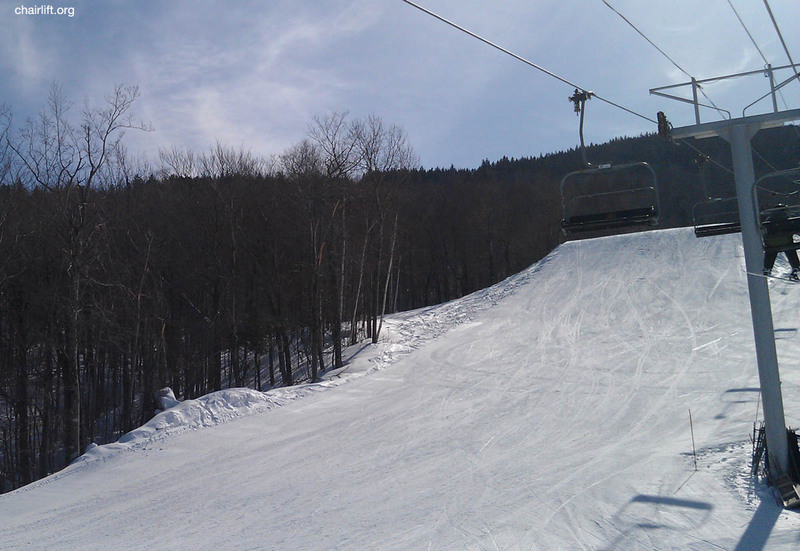 Pics thanks to Chris P. (Techskier), Dave "DJ Spookman" and Pearl Jakestein and Conrad Ward.